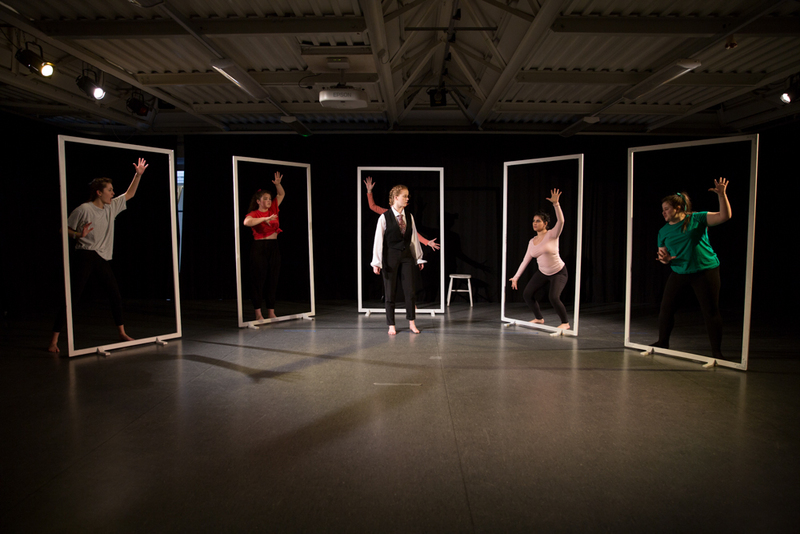 Upper 6th A level Drama and Theatre students performed The Trial by Steven Berkoff, on March 1st. 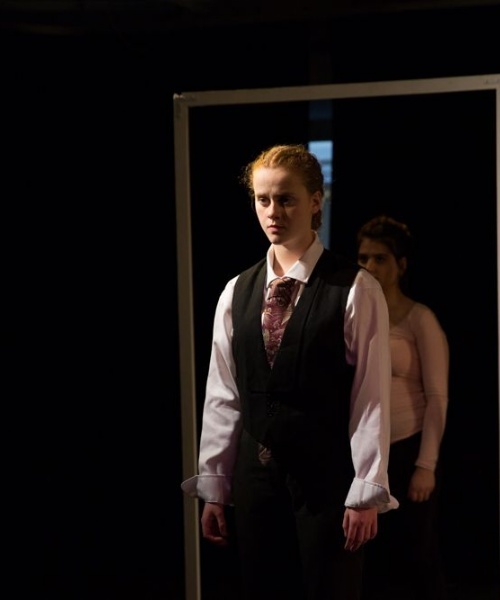 Concerned with the inner life of the individual, The Trial begins with the arrest of bank clerk Joseph K in his bedroom one morning for an unspecified crime, and follows his attempts to discover why this occurred and how he can acquit himself. 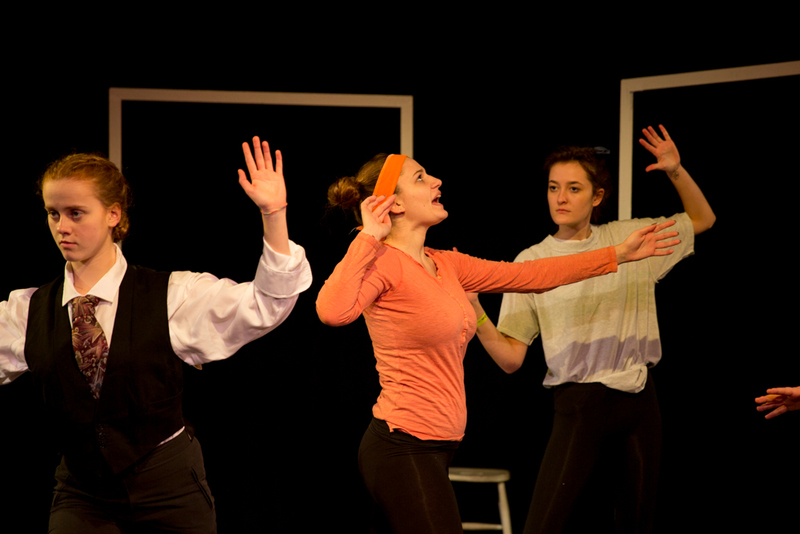 The pace of the performance was deliberately fast and disjointed – at odds with a play which is, after all, about waiting, worrying and fruitless conversation. 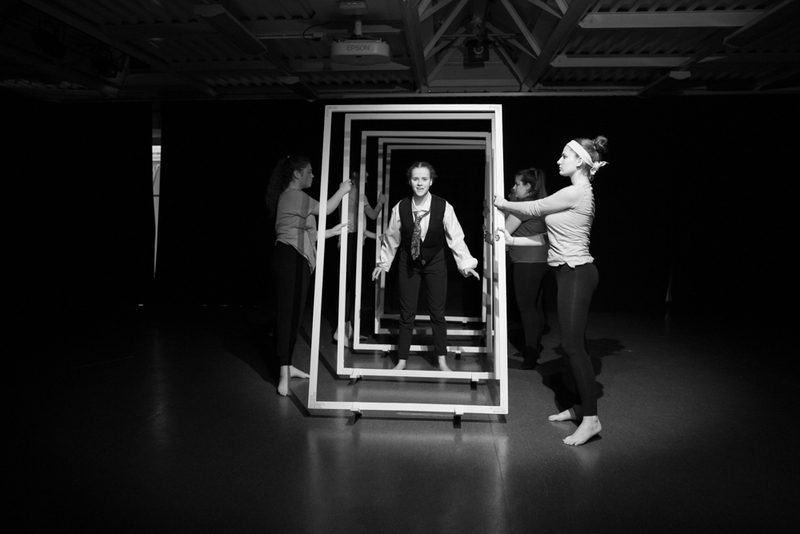 The continually shifting and ambiguous environment that becomes Joseph K's nightmare and mental prison was created on stage through the movement of the characters, each of whom carried a structure resembling a simple rectangular white door frame. These frames were moved with huge dexterity to create rooms & corridors - rooms that contracted around the hero, together with labyrinthine passageways that swirled and dissolved, all serving to parallel the disorientation and distortion that K suffers. Our hero was often surrounded on three sides by the cast, with the closeness of the audience completing his imprisonment. 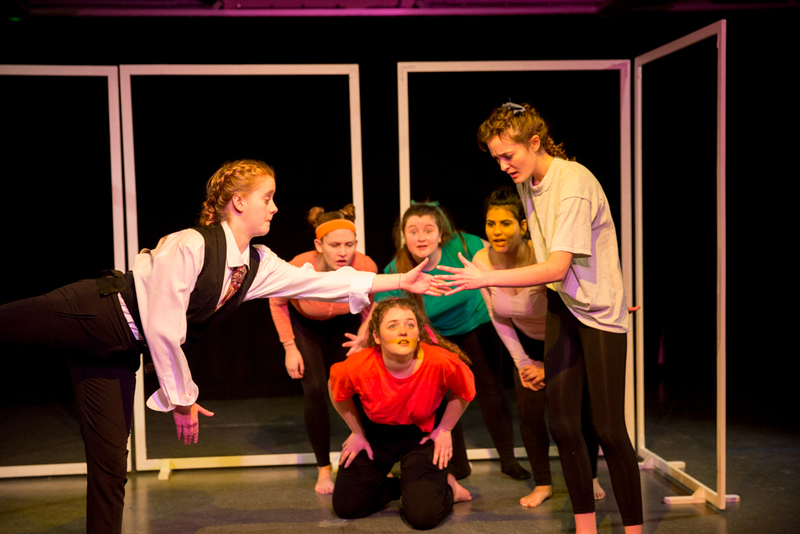 This was a marvellous ensemble performance, expertly executed by Isabella Wingrave, Katelyn Fouladgar, Tanya Michael, Dulcie Godfrey, Amelia Hammani and Eden Comins. The multiple roles, choral responses and meaningless babble all served to represent K's conflicted inner thoughts, while the fluid and dreamlike movement successfully created the dark, surreal world of Joseph K and left us feeling as if we, too, had been pulled into his eternal nightmare.